You’ve probably heard of it—the so-called “grey divorce,” when a couple divorces in the later stages of life—when “grey haired.” As the baby boomer generation reaches retirement age, Seattle couples in their 50s, 60s and older are more frequently getting divorced. Older couples face difference circumstances than younger divorcing couples. Younger couples who divorce usually have not accumulated as many assets, and often have options that do not exist for older couples. For some, there may be some years of belt-tightening while paying support for children and an ex-spouse, and/or saving for the future. Others have the luxury of some years to enter the work force and become financially independent. The common theme is that most younger divorcees have the benefit of years, even decades, of earned income after their divorce. Older couples do not have the luxury of as many future work years. You may already be retired, or unable to work. Each situation is unique, and it’s especially important to pay close attention to your finances. Apart from income you may be able to earn, whatever you and your spouse earned and accumulated over the years (plus entitlements), is what’s available for both households. The finances of many couples gets more complex as they earn more. Real estate and investments may have appreciated, and may come with built-in capital gains taxes. Be sure you understand what you have, your future financial needs, and the consequences of different decisions. Understanding the possibilities that exist with your retirement, pension, insurance, and other assets is important so you can plan for your future. Retirement plans are often among the largest assets, they can add a level of complexity. Will you inherit something in the future? That can be important to your future finances. It’s important to understand the Social Security and Medicare benefits to which you may be entitled. You’ll need to decide your future housing. Does it make sense to maintain your current housing, even if you can afford it? Is your dwelling too large for you to maintain over the long-term, or does it have stairs or other features that will limit the years you can remain there? Consider downsizing if that will make a difference in your financial security over the long-term. You may need to stretch dollars. If so, consider reducing spending, returning to work (perhaps part-time), or delaying retirement. The cost of the divorce itself can make a difference in your financial future. The costliest way to divorce is to litigate. As a general proposition, the cost goes up in tandem with greater conflict, involving more professionals/advisers, and using more legal procedures. 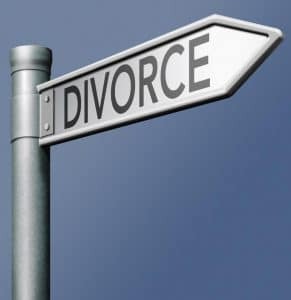 Consider divorce mediation with a mediator who has strong financial skills. This will provide you the benefit of insights that can only come from working with a divorce professional, but without incurring the high expense of having multiple professionals. If you or your spouse both need lawyers to feel comfortable, consider Collaborative Divorce, where you can avoid the expense of court procedures. If you are looking to reach an agreement for your divorce that meets the long term needs of your family, contact Seattle divorce attorney Mark Weiss at (206) 622-6707.